The Futures Exhibition – Help Make It Happen! Since early 2010, we have been asking you What’s The Future You Choose? We selected 52 illustrations and invited 50 different artists to bring these words to life. The illustrators responded to an open brief that we publicised through the powers of the internet. 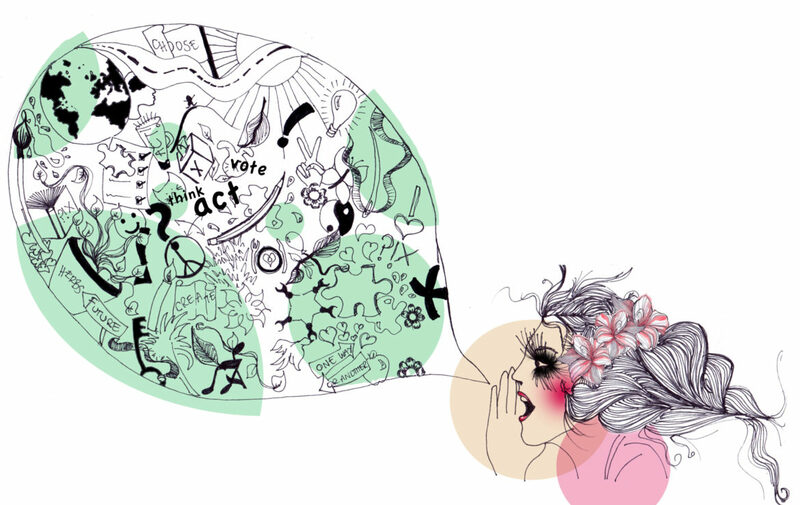 We are sharing these illustrations online, one every week of 2012. But we want to hold a special exhibition in London that shows all the work together. We need your help as we have to raise £2000 by Jan 14th to put on our exhibition later thisyear. Take a moment to check it out on IndieGoGo and also share it with your friends. All the tools are there. Get perks, make a contribution, or simply follow updates. If enough of us get behind it, we can make The Futures Exhibition happen. In addition to this on January 14th 2012 we’re holding the Futures Project Creative Weekend – bringing together a community of artists, thinkers, actors, voters, poets, journalists and photographers to collaborate on a series of future related briefs. We will be announcing the full line up in early Jan, but we promise – it’s going to be creative and a lot of fun!